The week has been great so far, tons of work and studies. Exciting meetings and a lot of mixing. Started to build my website too, so in a couple of weeks you guys will have to read this blog on my own domain. I look forward to a co-write tonight and photoshoot tomorrow! Hope you all get to have a great weekend and enjoy Super Bowl on sunday, I know I will! 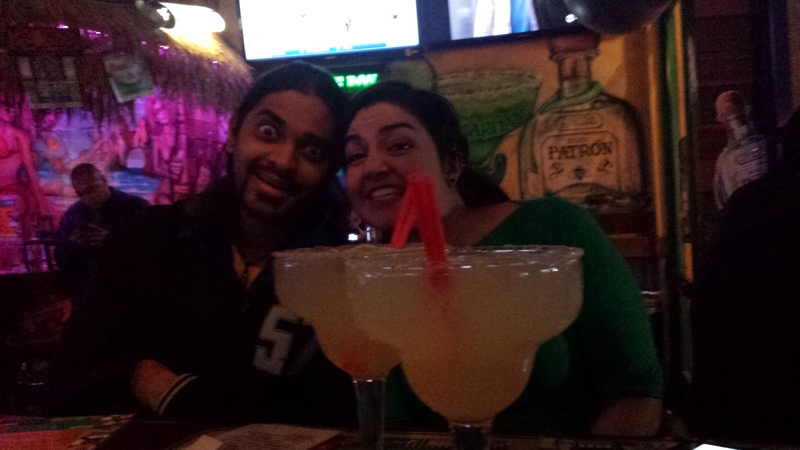 Haha, Sarah and Nipun at taco tuesday some time in december. The size of these margaritas!! Hope you all are great. Time for me to go to sleep now, good night! As of right now I have to define how my newest songs are going to come out sounding. Hopefully they will reflect much of what you guys recognize and appreciate when it comes to me. So I’m curious and I would love to hear your input on this. How do you guys recognize my voice? What do you want to hear more of? And what do you think makes my voice me? Tomorrow morning I’m going to hike up Griffith and then go to the gym for a while. At least that’s my agenda, seems like I sometimes (this is an understatement for those of you who don’t know me very well) have an intention of working out but somehow end up not doing that at all. Well, it’s a new year and I am still young enough to change habits- right? 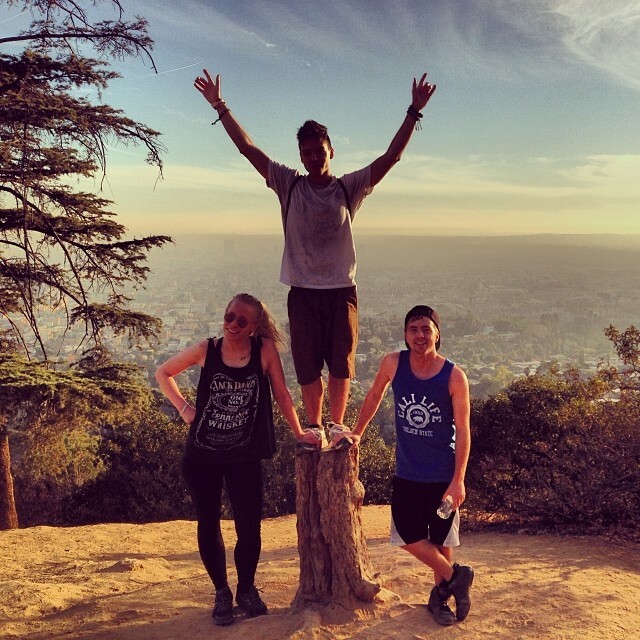 Hiked up Griffith with Zack and Patrick saturday. Good morning, I woke up a couple of hours ago. I’m free all day today so I’m just going to do a hike up Griffith in a couple of hours and then write all night. Just wanted to share what I ran into, I CAN’T BELIEVE I’ve never really listened to Beth Hart before. This woman is absolutely amazing and a true inspiration source for me today. I hope your saturday is as good as mine! So today I woke up several hours late and had to run to school not to miss my music production workshop (one of my favorite classes of the week). After that I went straight to a songwriter class and from there to a co-write with Logan. We have been doing a couple of co-writes by now and the vibe feels great, hopefully we can go in to the studio recording some of the material next week. You should all check this group out, they’re called Niki & The Dove. It’s a swedish duo and this song is just genious. To those of you who has been following me for a while, you guys know that I am just very indecisive regarding this whole blog thing. I just don’t have it in me to blog about everyday stuff that people normally do NOT care about when I’m not in the mood. I’ll make an effort to let you guys know a little bit more of what I am doing, because right now I am in Los Angeles which alone is an interesting city and I might be able to give you some insight in what I am doing and learning. That said, in the future – I promise I will give it a try to make this a consistent thing. Also, I will from now on write in english, as you’ve probably already noticed. Los Angeles is a spectacular and beautiful place in many ways, I get to stay in a city that is very different from anything we have in Sweden. I go to a school called Musicians Institute which for me has been great so far. I have many great teachers, interesting classes and a lot of own responsibility to get where I want to be. I would like to say that I’ve been practicing music for a long time, but NEVER before have I felt this flow of inspiration or possibility to make something actually happen for myself. Possibly because I get to spend so much time around other aspiring and experienced musicians but I think it’s also because the vibe I get here is so different from anything else I’ve experienced at home. Basically, what I am saying is, I feel like I am actually practicing my music now- on a whole different level. Yes, I am in a place physically that makes it easier to really give it a shot (I mean, I get to hang out with very talented musicians every day). Though mainly I think it’s got to to with the fact that I am mentally in a place where I go all in and my focus is of a persistency that I haven’t really felt before. I am ready to really do this. 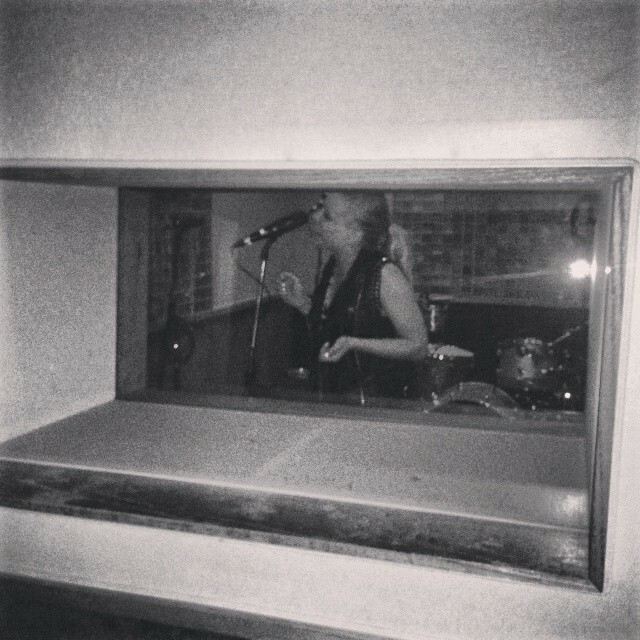 Tonights studio session starts at 12 and ends at 9am. It’s gonna be a lot of work but so much fun. I am currently writing songs for an EP with an amazing guitarist and so far I am very satisfied with the results. I truly hope I can let you guys hear some of what I’m working on very soon.